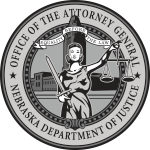 Educating Nebraskans on the work of the attorney general's office is an important part of our efforts in Consumer Protection. If you would like a representative from our office to visit your community, organization, or school, please fill out and submit online the form below or call our Outreach Coordinator directly at (402) 471-3878. All presentations are provided free of charge.